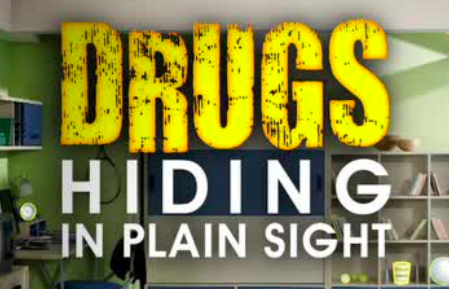 One of the most searched ‘how to’ topics on the internet - " How to hide drugs ". The ever-growing opioid crisis is a continual concern for families all across the United States; children, teens and adults alike are getting increasingly creative on how to get away with using narcotics undetected. Proven time and time again, human searches just aren’t enough. What can’t be detected through human searches CAN be detected by use of a narcotic K9. In fact, K9 detection of concealed drugs is 100,000 times more effective than a human due to their unbelievable sense of smell, cutting search times by hours. Drug abuse among young people is a much bigger problem than many realize; According to a 2016 government survey, 42.7% of teens aged 12 to 17 years of age have used illicit narcotics and over 80% of all teens say its easily accessible. The good news? You can be proactive in making sure your home is safe and protect your loved ones by the utilizing drug-detecting dogs the #1 way to find drugs hidden in your home or business. "42.7% of teens aged 12 to 17 years of age have used illicit narcotics and over 80% of all teens say its easily accessible"
Even though you may think your home or facility is clear of all narcotics, that may not be the case. Many drug users are very skilled at planting the seed of doubt, which makes the truth even harder to find. A simple and effective K9 search can put to rest or confirm suspicions and give you the peace of mind that all clients and families deserve. In treatment or in your home, safety is crucial to the success of recovery, and the discretion and confidentiality that private K9 companies provide is the ideal way to avoid any messy, unnecessary publicity. Narcotic detection dog teams can provide a versatile, mobile and real-time search and detection capability that can offer significant benefits to any facility or home suspecting drug use. With the implementation of K9 detection teams within schools, businesses, and rehabilitation facilities, private K9 companies are committed to continuously and successfully keeping our family, children, and community members safe each and every day. To learn more visit www.drugdetectingdogs.com.